Dana Harvey Murrill, 64, of Lake City, passed away peacefully on Sunday afternoon, October 7, 2018 at the Haven-Suwannee Valley Hospice Care Center in Lake City after an extended illness. He was born on April 12, 1954 to the late Daniel Wallace and Betty Jo Waldron Murrill. He was born a military son, and traveled with his family to different states and military bases extensively before making Lake City their home in 1974. He was a carpenter most of his life and was a Christian. He is preceded in death by his brother, Joel Allen Murrill. He is survived by his wife of 27 years; Martha Aiken Murrill of Lake City; son; Daniel W. “D.W.” Murrill of Lake City; daughter; Amanda Hinson (Christopher) of Austin, Arkansas; grandchildren; Jocelyn Hinson and Christopher Wayne Hinson both of Austin, Arkansas. 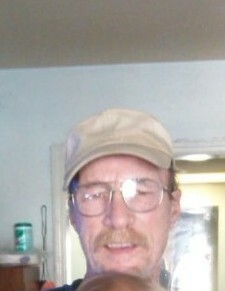 Brother; Jesse Murrill (Cindy) of Lake City along with numerous family members and friends also survive. Services for Mr. Murrill will be held at a later date.